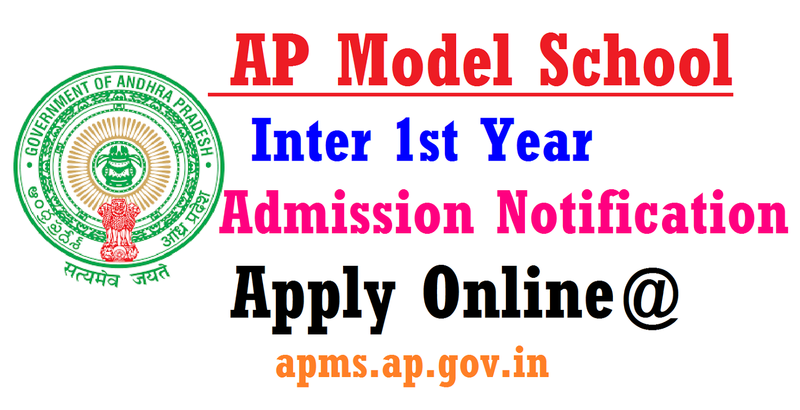 AP Model Schools Inter 2018 Admissions online application in apms.ap.gov.in AP Model Schools Inter 2018 Admissions online application in apms.ap.gov.in | APMS Intermediate1st year Bi.PC, MPC, CEC, MEC Courses 2018 online application in apms.ap.gov.in | AP Model Schools Inter 2018 Admissions online application in apms.ap.gov.in for first year Bi.PC, MPC, CEC, MEC Groups Admissions for the academic year 2018-19, so all the eligible candidates can apply for AP Model Schools inter first year 2018 online applications from apms.ap.gov.in, http://apms.cgg.gov.in/ and http://www.cse.ap.gov.in/ websites. 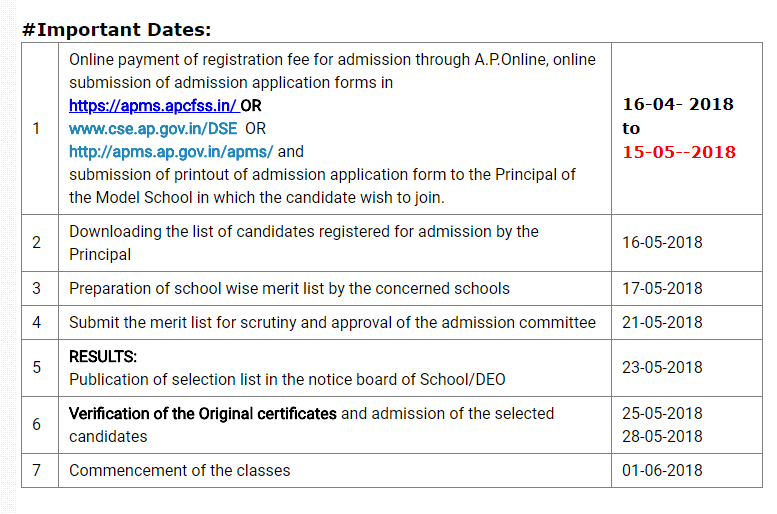 APMS Inter 1st year 2018 online application starts from 16-04-2018 onwards in apms.ap.gov.in, http://apms.cgg.gov.in/ and http://www.cse.ap.gov.in/ websites. APMS Inter 1st year Admissions 2018 notification released in online, we can provides below for you. APMS Intermediate1st year Bi.PC, MPC, CEC, MEC Courses 2018 online application info will be available in apms.ap.gov.in, http://apms.cgg.gov.in/ and http://www.cse.ap.gov.in/ websites.